In 1991, Chinese contemporary artist Liu Xiaodong’s first auctioned work sold for a little over RMB 80,000 in Hong Kong. 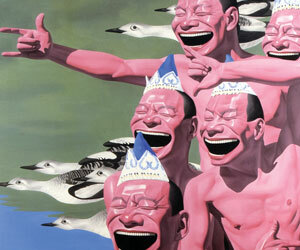 Last year, his work “New Displaced Population” was bought for RMB 20,000,000 in Beijing. China’s breakneck transformation to a diverse market economy over the past two decades is now dramatically manifesting itself in the country’s flourishing and increasingly lucrative contemporary art scene. In some cases popular Chinese artists have seen a tenfold increase in the sale price of their work over the space of just a few years, as with Zhang Xiaogang or Cai Guoqiang. 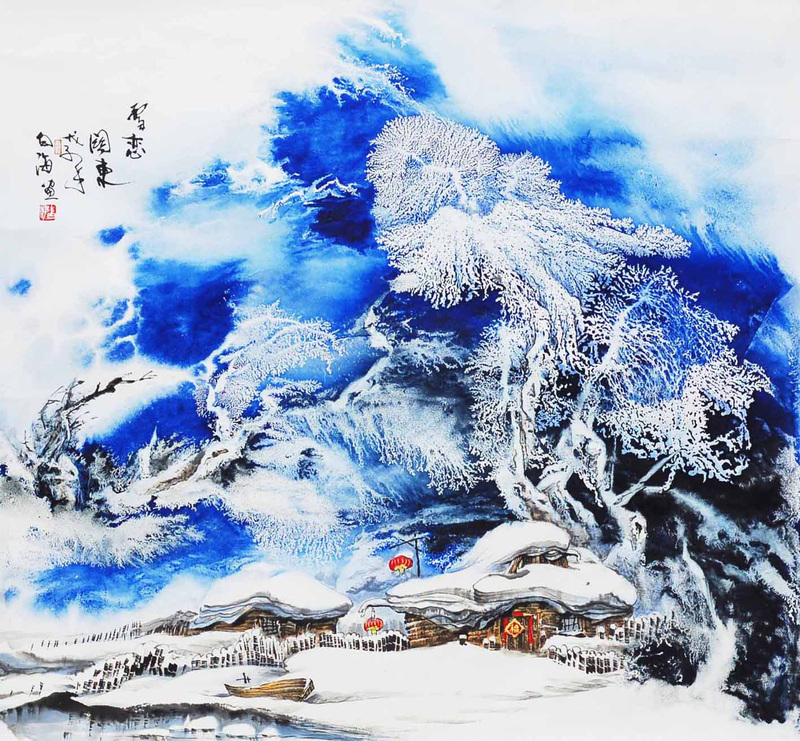 The ten most successful auctions of contemporary Chinese art have been recorded over the past twelve months, and last year over 30 percent of the Chinese contemporary artworks sold at auction went for more than US$100,000. 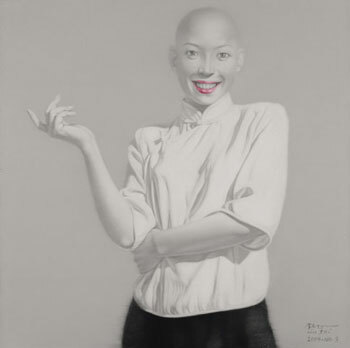 With auction sales of US$23.6m last year, Zhang Xiaogang, the most famous and sought after contemporary Chinese artist, was second in ArtPrice’s ranking of the 100 top-selling artists. He was far from alone on the chart, however; there were 24 Chinese names listed in 2006, up from almost none five years ago. Thanks to a dynamic market, Hong Kong Sotheby’s recorded Chinese contemporary art sales of US$21.9m last year. It is a similar story at auction houses in London and New York, many of which only recently started offering modern Chinese work. During the first auction of Chinese contemporary art in New York last April, so many bidders called in that Sotheby’s had to bring in more telephones. Chinese avant garde art has to be viewed in the light of the tremendous social and economic upheavals that have taken place in recent decades; a large number of works specifically reflect the tension between the socialist ideals which are still officially valid and the wave of consumerism that has swept the country as a result of capitalist reforms. Only a decade ago there were no contemporary art spaces of note in China. Foreigners could not legally run galleries or, technically speaking, trade in art. Unauthorized exhibitions were organized secretively, with no publicity, and usually lasted a few hours until forcibly closed. Today, Chinese venues for contemporary art are multiplying rapidly, both in the real world and, increasingly, online. Official attitudes toward art have now relaxed dramatically, with the government often lending support to exhibitions both figuratively and financially. This new laissez faire environment has been a major driver in the internationalization of Chinese contemporary art. In the last few years, Chinese artists have begun to exhibit regularly in overseas shows, leaving behind the underground scene that significantly impeded their creative development, and establishing China as the new darling of the global art community. As China’s economy continues to boom, and interest in the country’s nascent art scene builds momentum, so a growing number of international profit and non-profit organizations are looking for ways to establish a presence in the Chinese art market. 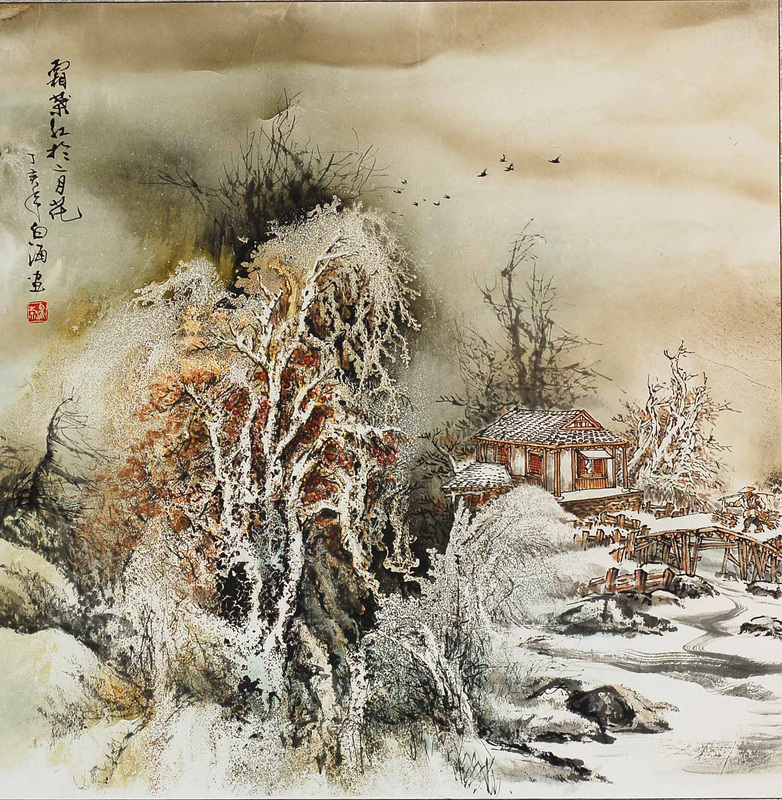 Overseas collectors are eyeing up China hungrily, and increasing numbers of knowledgeable Chinese art lovers are looking to augment their collections with pieces from beyond the mainland. Helping to facilitate the flow of international and Chinese art will be the new Shanghai Art Fair (SAF), also called “ShContemporary 2007”. The SAF is being organized by the Geneva gallerist and collector, Pierre Huber, together with Lorenzo Rudolf, former director of Art Basel, and Bolognafiere, an Italian fair organizer which already has offices in Shanghai. It will involve about 120 international galleries from around the world. China’s international art scene will receive a further boost when the new Shanghai Pompidou Centre opens later this year. Carried out under the auspices of the legendary Paris art institution, the project will involve renovating a 98-year old villa, and the construction of an entirely new building, which will be finished by 2009. The whole complex, which will eventually cover 10,000 square meters, will feature French and Chinese artwork from the start of the 20th century to date. As well as attracting international investment, China is also leveraging its burgeoning artistic reputation overseas, with a recent proliferation of contemporary Chinese art exhibitions. In addition to the Basel Art Fair, Zhou Tie Hai’s brushwork is also currently featuring in a Chinese contemporary art exhibition at the Tate Gallery in Liverpool, entitled “The Real Thing”. The majority of pieces at The Real Thing are either being shown for the first time outside of China, or were specially commissioned for the exhibition. Yan Lei, like Zhou Tie Hai, is another Chinese contemporary artist who cut his teeth during Chinese art’s underground period. Together with Ai Weiwei, the grandfather of Chinese art and all things creative, Yan Lei will be traveling to the five-yearly Kassel Documenta in Germany this June to show some of his paintings. Started in 1955, the Kassel Documenta is one of the world’s most important contemporary art exhibitions. Ai Weiwei himself was ranked 71st in ArtReview magazine’s annual list of the 100 most powerful people in the contemporary art world last year. Yan Lei’s warning hints at some of the problems that the unprecedented growth in popularity of Chinese art has caused; inflated price tags have led to factory-style mass production, hyper-commercialization and rampant counterfeiting. Indeed, the use of the Coca-Cola slogan for the Liverpool Tate’s current exhibition refers to the status of art in modern China as just another product in a booming economy, subject to the same laws of supply and demand, and at times cynically marketed in the same fashion as a soft drink. The de facto legalization of foreign investment in China’s art business has led to the blooming of an active commercial gallery scene, with an obvious focus on Beijing and Shanghai. There are now an estimated 200 contemporary art galleries in these two cities. This has given Chinese artists more options for displaying their work, and has also changed the dynamics for overseas galleries looking to get involved. Co-owned by Belgian businessman Frank Uyterhagen and Ai Weiwei, China Art Archives & Warehouse (CAAW) was founded in 1993, and focuses on cutting edge artists, with a spectacular hangar-like space in the Beijing suburbs. In 2003 the CAAW formed a partnership with the Lucerne-based Galerie Urs Meile, and is now dedicated to promoting high quality Chinese contemporary art under Ai Weiwei’s expert artistic direction. 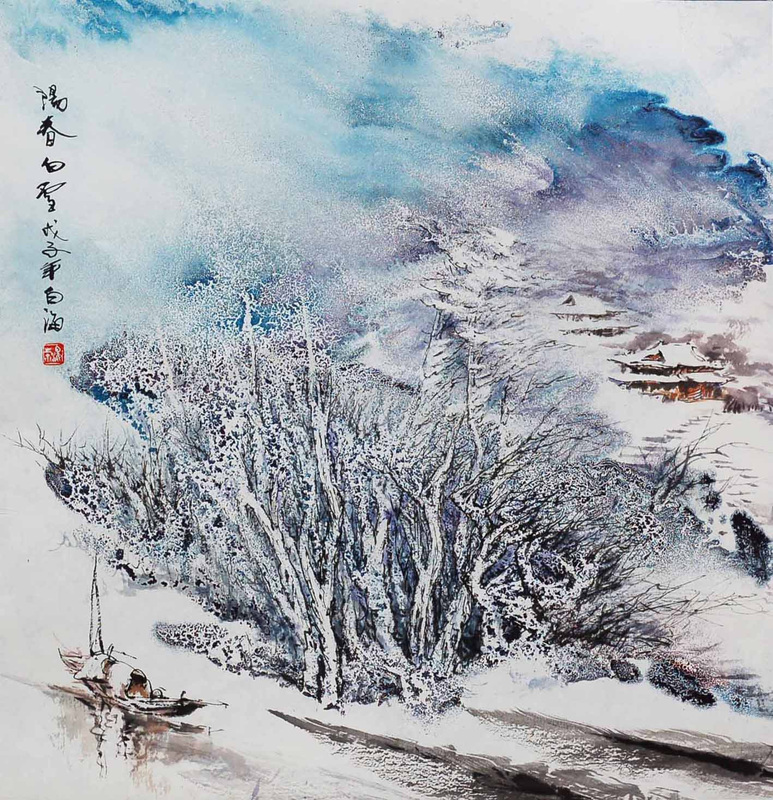 Only a couple of years ago, many Chinese people would simply stereotype an artist as a painter, a sculptor, a calligrapher, or a print-maker who creates attractive images with conventional media. Today, as a result of their country’s rapid technological progress, many Chinese artists are turning to DV cameras, creative software and the internet in their artistic experiments. New media art works by Chinese artists - ranging from video art, digital art and animation to flash art and sound art - have emerged in contemporary art exhibitions both at home and abroad. Stephen Danzig is founding director of iDAP, a wide-ranging digital media exhibition incorporating digital video, installation and interactive works, and photomedia from Chinese and Australian artists. In autumn 2007 iDAP will run concurrent shows at the Beijing Film Academy and the Songzhuang Art Center. Last year 22 Chinese new media artists participated in iDAP’s China exhibition, including QingQing, Cui Xuiwen, Song Dong, Aniu, Bu Hua and Wang Jinsong. Technology is also affecting the way Chinese contemporary art is presented and promoted. London’s renowned Saatchi Gallery announced in May that it is launching a new, non-profit website in Chinese to allow artists in China the opportunity to present their work to a global audience. “Your Gallery in Mandarin” will be part of the overall Saatchi Gallery site, which is the largest interactive art gallery site in the world with over four million hits a day. In addition to free postings and translations, the Chinese site will host an interactive blog, forum and chatroom. The decision to create the Your Gallery in Mandarin website was made after it became apparent that Chinese students were already putting their profiles on the general Saatchi Gallery site, despite the fact that they spoke little or no English. “We began noticing that Chinese artists were posting their work and seemed really keen to show their art and communicate with other students and artists – the language barrier was obviously a problem though,” says Kieran McCann, Head of Creative Development for the site. “Our goal is to break down language and cultural barriers,” says Neeraj Rattu, who is leading the site’s technology team. Having compiled a considerable amount of data, the team estimates that 20 to 30 art schools operate in China; that about 10,000 students will graduate from such schools in 2007; and that some 14,000 artists in China are represented by galleries. “That leaves roughly 10,000 unrepresented artists,” says McCann.